Jonny McKee (#674) on his way to victory in the 5km race. Photo – Michael Jeans. 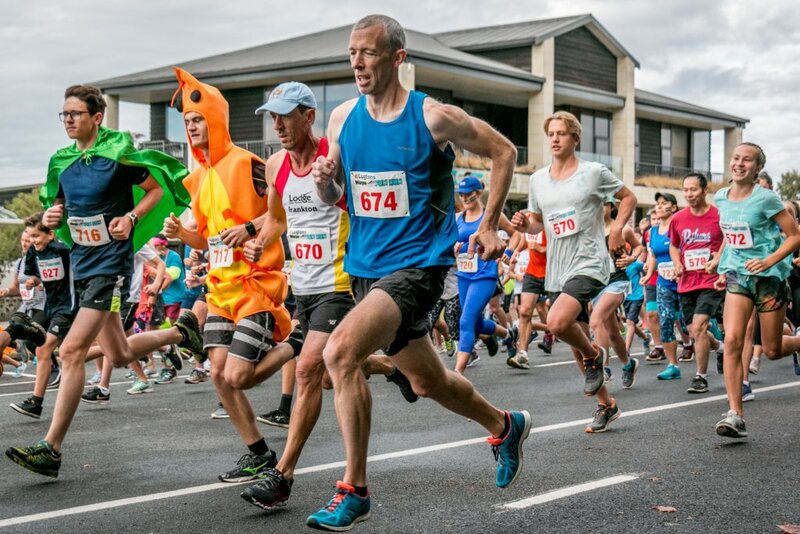 The Waipa Fun Run attracted more 10km runners than ever before this year, when the eight annual instalment took place at Victoria Square over last weekend. 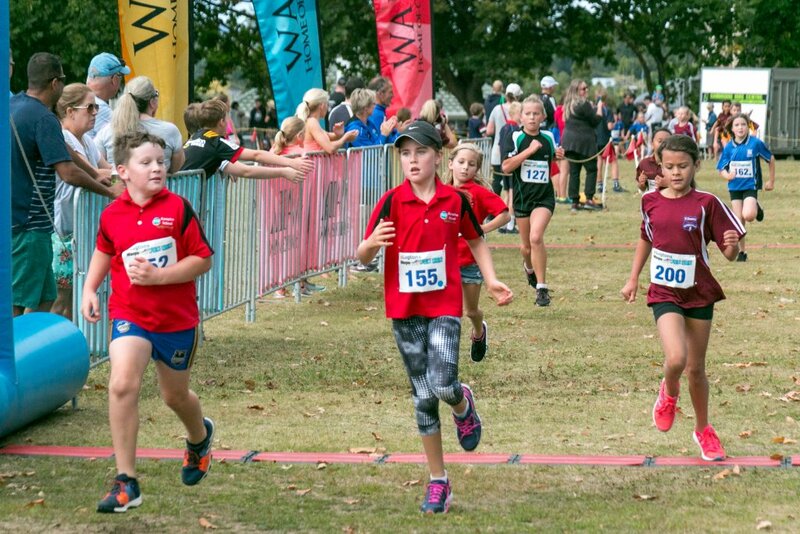 Organisers of the Lugtons Waipa Fun Run were rapt to see the fundraiser has become somewhat of a destination event, attracting athletes from around the North Island. Dean Chiplin was the fastest Cambridge runner in the 10km race at 36 minutes and six seconds, finishing fourth behind runners from Hamilton, Rotorua and Tauranga. Hamiltonian Steve Rees-Jones secured the win in 33 minutes and 28 seconds, with a 30 second lead over Rotorua’s Will O’Connor. Jonny McKee secured a victory for Cambridge in the 5km run in 15 minutes and 43 seconds, a whole two minutes and 11 seconds ahead of his nearest competitor, Tamahere’s Jeff Wise. The first female to finish was Cambridge’s Laura Cardwell, finishing just a second ahead of Wellingtonian Sophie Kavanagh in 23 minutes and 21 seconds. Francesca Odgers (#155) races across the finish line. Photo – Michael Jeans. With a number of big events on at the same time over the weekend, the event saw a turn out of 621 competitors, 17 less than last year. “Considering all the events that were on we were really thrilled with what we did get, it was a really busy weekend with heaps of spectators as well as participants,” said Donna. The schools challenge attracted the most entries once again this year. St Peter’s student George Anthony won the Year 7 – 8 division in exactly seven minutes, followed four seconds later by Cambridge Middle School’s Daniel Cook. Another CMS student, Jasmine Davis was the first female to finish, placing seventh overall in 7 minutes and 22 seconds followed by Annabel Chapman (St Peter’s) just a second behind. Goodwood School student Blake Davis eyes the finish line. Photo – Michael Jeans. 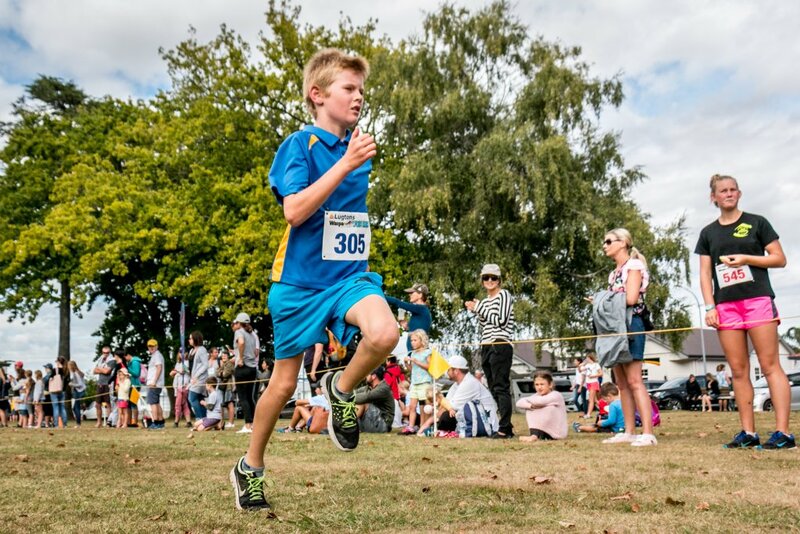 Cambridge East School’s Gethyn Foster clocked the fastest time in the Year 5 – 6 division at seven and a half minutes exactly, with Hautapu’s Maggie Davis 42 seconds behind as the fastest female. Luke Taylor of Leamington School won the Year 3 – 4 division in seven minutes and 40 seconds, and Goodwood student Trista Cowley was the fastest girl in eight minutes and 22 seconds. Organisers Warwick and Hodgson agreed the best part of this year’s event was the huge sense of community spirit. They wished to thank all of the volunteers that helped make the event possible, including the 16 Cambridge Rotarians that helped out with marshalling. Though funds haven’t yet been finalised, the event is expected to have raised around 15 to 17 thousand dollars. Most of the funds raised will go towards an outdoor turf for St Peter’s Catholic School’s outdoor learning environment. $1 from each entry is also going towards Cambridge Lifeskills. 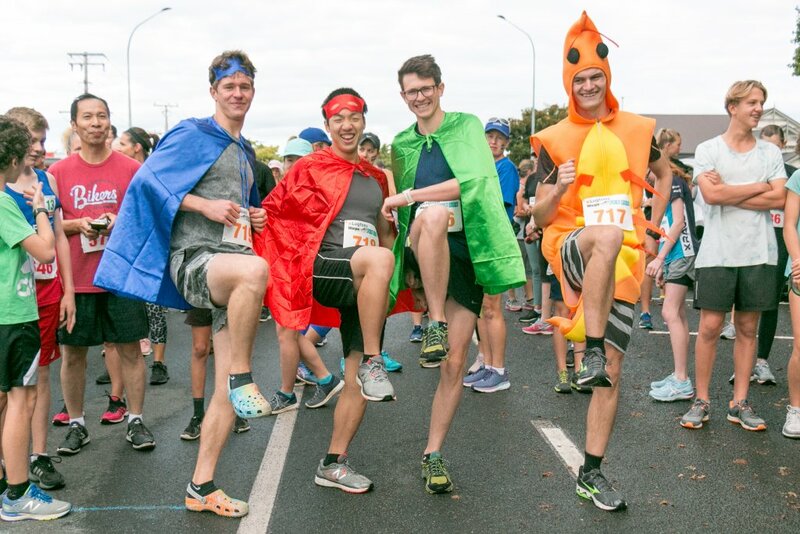 Team “Run Like Dwayne” from Tamahere dressed for the occasion. Pictured from left is Jeff Wise, Kevin Liu, Brae Epps and Ben Hos.